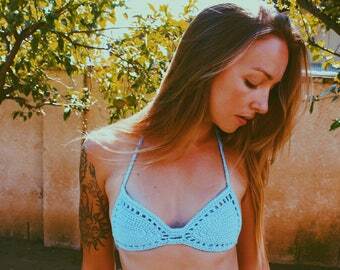 Hand crocheted "Cali" bikini bottoms have a simple and laid back style, named after my home state. A must have to pair with your Jayblue Cali bikini top or to mix and match with other items. 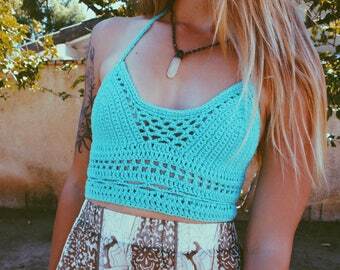 Meant for wear in the water, crocheted cotton swimwear keeps its shape however takes a bit longer to dry than non crochet wears. Made to order from %100 USA made cotton in Periwinkle (pictured) or your color of choice from the drop down menu. These bottoms feature peephole details, clean edges, and string ties that allow for a more customized fit. Model is waist size 25 wearing XS size.